Join me for this amazing week of workshops where you will have the chance to improve and fine tune your tec diving skills as well as experience new equipment and hear talks from top Training Directors and Explorers. There will be loads of manufacturers, such as fourth element, with lots of lovely equipment for you to try out and plenty of opportunities to pose for photos, with Sport Diver , in attendance, not to mention the fantastic atmosphere that comes from spending a week with experts and enthusiasts alike. All hosted by PADI Dive Centre, Vobster Quay, whose legendary hospitality is never more evident than at TEKcamp. 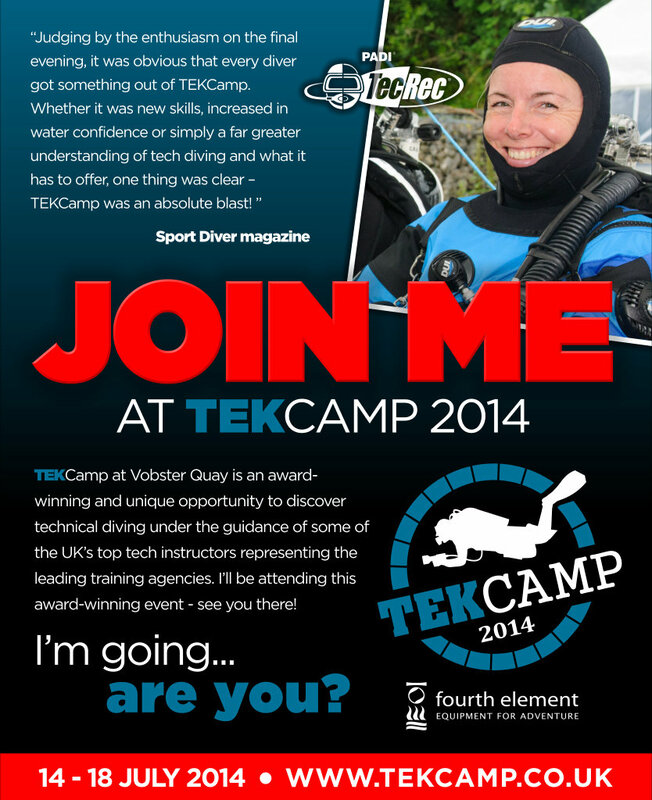 Visit www.tekcamp.co.uk to book your place or email me: vikki.batten@padi.com if you have any questions and I’ll be happy to pass them on. Visit http://www.tekcamp.co.uk to book your place! Previous PostPrevious Is the future of diving robotic? Next PostNext Not just for guys….